Tonight I will be voting NO on M-104. This motion is the next step in Liberals plan to create a new bureaucracy to regulate people living in the Ottawa River Watershed. An unelected, unaccountable, board of appointees will set new rules about what you can and cannot do with your property. 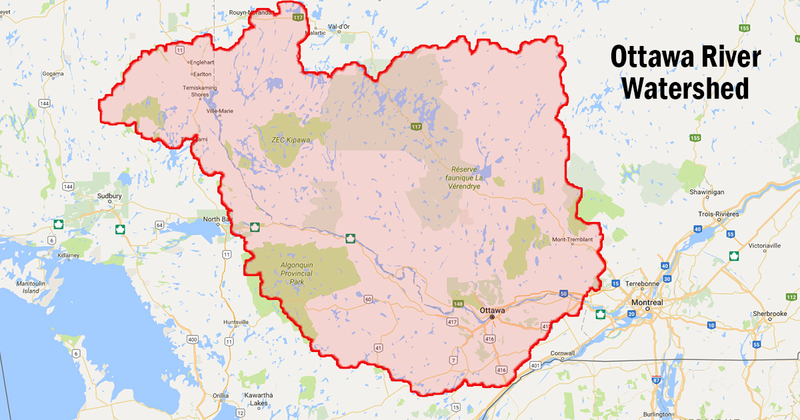 If you live anywhere within the red zone of the picture, you will be impacted by these rules even if you are nowhere near the water. If you oppose M-104 you need to share this post then contact local Liberal MPs and tell him you do not support M-104.